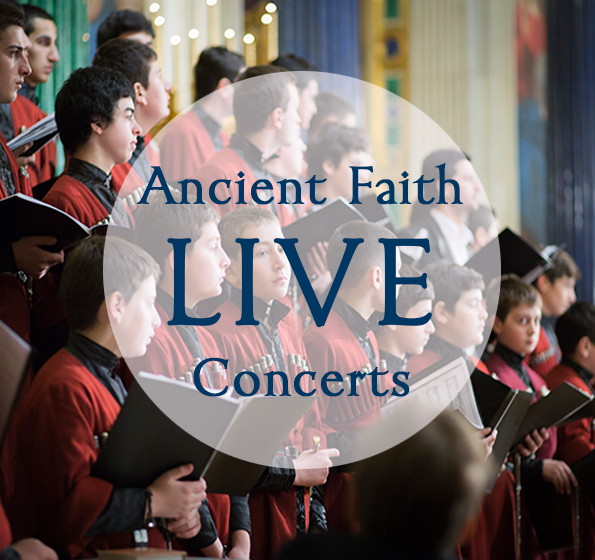 Ancient Faith has started to record and broadcast live video of Orthodox choirs around the country. These will be added to as opportunities allow. On Saturday, December 8 at 6:00 PM Central, Ancient Faith Radio, St. Vladimir's Theological Seminary, and Holy Trinity Orthodox Church in East Meadow, NY presented Nine Lessons and Carols. Enjoy an evening of carols, hymns, and scripture readings in preparation for the celebration of the Holy Nativity of our Lord. Under the direction of Robin Freeman and Nicholas Reeves, the combined choirs sing familiar carols and liturgical hymns interspersed with readings from the Old and New Testaments.